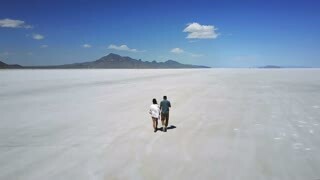 Search Results for "Flat land"
Back view romantic couple walk together holding hands towards epic white flat land in the middle of Utah salt desert. 1940s: View from inside car that drives through road surrounded by flat land with mountains in background and cloudy sky. Landscape of flat land with a road and mountains in background and cloudy sky. Grain metallic silo building in landscape, big tin seed elevator. 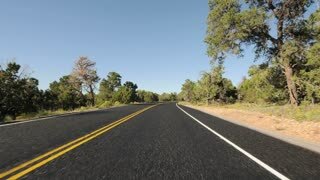 Footage of agriculture countryside, farming, husbandry in plain, flat land. Frozen Tundra Elk. Aerial shot of and elk in a vast frozen expanse of flat land with trees. Flat Land in Spain with a track. Aerial view over a forest in the Bavarian flat land area, during sunrise hours. High angle, wide aerial view of farmland as tractors work in the field. Flat land with several farms on the horizon. Shades of brown and green on the landscape. Field irrigation system, water sprinklers spraying on plants. Total shot, beautiful sunny day. Footage of agriculture countryside, farming, husbandry in plain, flat land. 1920s: Car passes by. Drive through forest, excavator is operated ahead on street. Drive through forest. 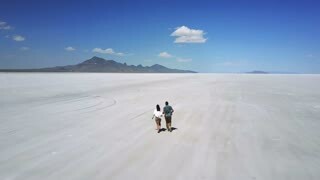 Drive on flat land. Frozen Tundra Elk. Aerial shot of an elk in a vast frozen expanse of flat land with trees. Yunlin County is a county in western Taiwan. Yunlin is part of the Chianan Plain, a flat land known for its agriculture. View of buildings along the shoreline and traffic on the highway in Bay of Islands, New Zealand. Cloudy sky and green trees on flat land to the horizon. Drone slide right. Aerial clip of the Bavarian flat land during sunrise, with a strong sun backlight.